Caroline Crocker is another Intelligent Design creationist and another martyr for the cause of religiously motivated pseudoscience. 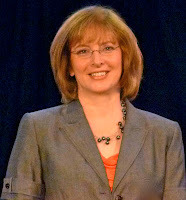 She was prominently featured in the hackjob documentary Expelled (analyzed here, and here), where she was presented as one of the “scientists who are being persecuted for their views.” More precisely, Expelled claimed that Crocker was fired because she mentioned Intelligent Design in a class she was teaching. And Crocker was indeed teaching demonstrably false creationist material (for instance about this), so there would have been good reasons to fire her. As a matter of fact, however, Crocker wasn’t fired. She was teaching on a one-year contract, and was simply not rehired at the end of the year for undisclosed reasons – like so many adjuncts. The whole, true story is here. Crocker later ended up on wingnut welfare with a gig at the ID creationist IDEA center (which blithely lies about her incompetence). There, she tells us, she helped create “safe houses” and fake identities so students could secretly come “out of the closet.” It is interesting, once again, to notice the depth of the persecution complex among the denialists, and Crocker – despite the complete groundlessness of the accusations – has frequently been used as an example by Intelligent Design creationists in their dishonest outcries about oppression and calls for“Academic Freedom”. Diagnosis: Crocker is in other words indeed a fine example of the alleged persecution faced by fundamentalist pseudoscientists, but not in the way they see it. She also splendidly illustrates Intelligent Design Creationist tactics: the abject failure of science to support any of their claims with evidence is not an interesting detail, as long as there are other routes to victory, such as screaming “persecution”.